Family and Finally a Garage Day! Finally I have a Garage Day! The weather is cooperating and my schedule is clear. I am asking no sympathy for my schedule I do it to myself. 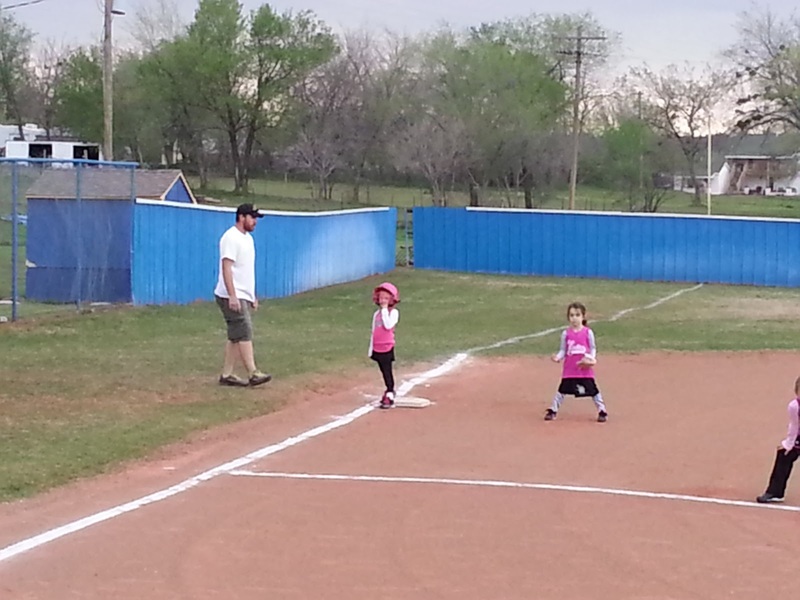 I took the Range Rover to Dibble, Oklahoma to watch my grand daughter play T-ball. I love the two lane highways in Oklahoma and this was an opportunity to drive on them. Specifically highways 39, 76, 74b, and 24. 74b between Goldsby and the intersection with 76 just past Cole, Oklahoma has those great “lose-your-stomach” peaks on the hills. I rolled into Dibble and they had blocked the parking lot at one end forcing me to either drive a few blocks around to the other lot or just go off the road and turn around. Of course, I picked option two. When I turned in to the lot it was a steep ditch, the approach angle was fine, no worries there, but when I tested the departure angle I contacted the ground. 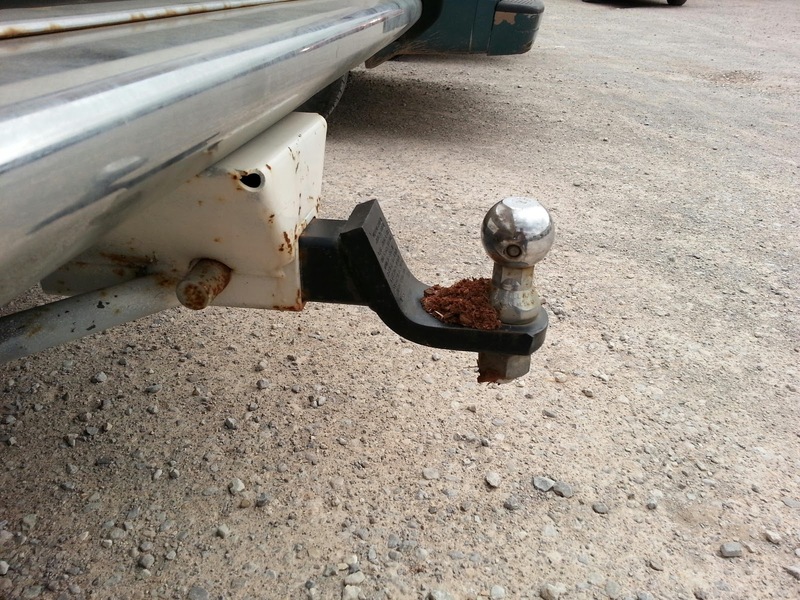 No damage that I can tell, but it was enough to make a furrow in the ground as evidenced by the dirt on my hitch. I got a picture of our number 9 on third. The weather had just turned with a cold front passing through. Amazing how many Okies attending the game were totally unprepared for a serious change in temperature. Think 81 F to 61 F in three minutes with a 15-20 mph north wind. Making windchill something like 55 F.
We had family pictures this week. 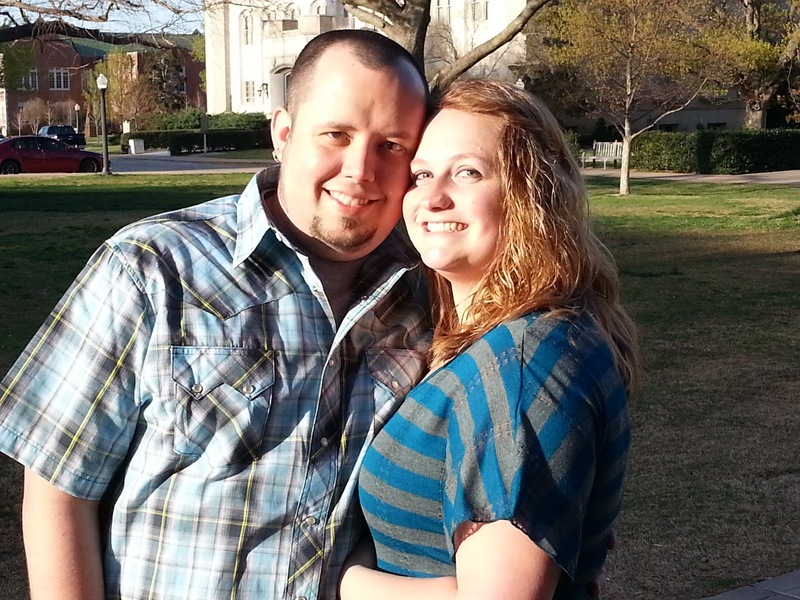 We went over to the University of Oklahoma campus and took pictures of my wife’s family. 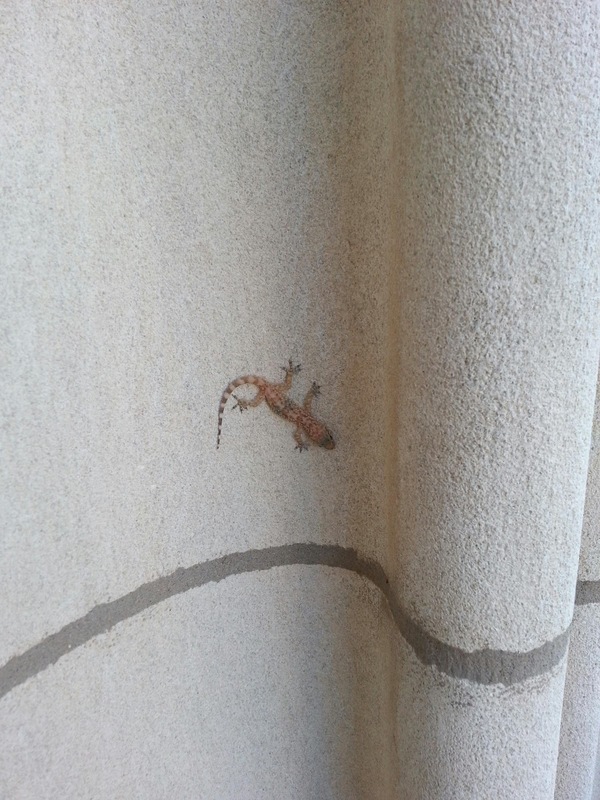 We spotted this Mediterranean House Gecko on one of the columns in front of Evan’s Hall. Unfortunately for the gecko a Mockingbird had also spotted him and as soon as we were done, the Mockingbird swooped in and had a snack. 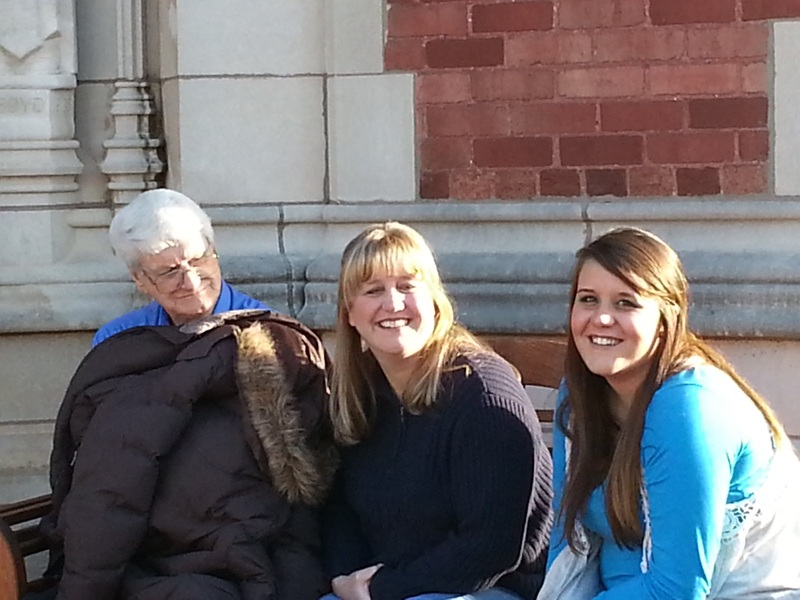 Much to the chagrin of the grand kids. As we reminded them of the circle of life. They then told us of watching a hawk destroy a squirrel. They thought it was cool. After this year, I may attempt to see how many different species of reptiles I can see in the wild, instead of birds. I’ve also thought of a quest of mammals. Mrs. OkieRover with RovErica. 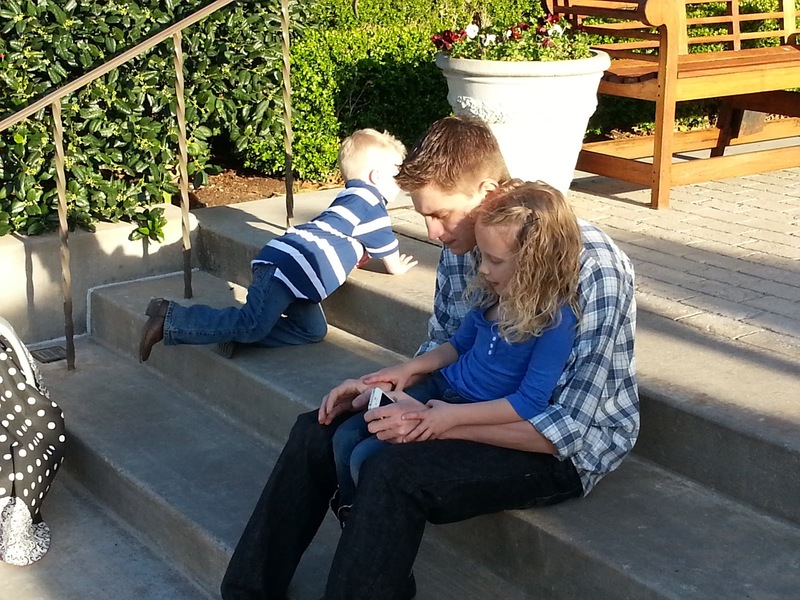 That’s her dad Grady on her right. Although he was a Navy man he’s alright with me. His sense of humor is top-notch. He served on the USS Essex back in the day. 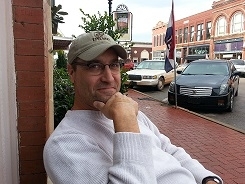 He started out with a stint with the Oklahoma National Guard at age 15. He told them he was 18. Funny how times have changed. This is my son-in-law Justin and my oldest Lecia whom you’ve heard referred to on this site as Fireball for her propensity to throw softballs hard enough to register on the Richter scale when you catch them. Justin you have seen in my historical pictures. Although his people are Pottawatomie and mostly “uncivilized”, he has not totally shunned me teaching Cherokee words to the grandchildren. Here we have the grand children and my son Diet Mountain Drew. Just out of frame is the princess Prestyn in her baby bucket. I couldn’t agree more Chuck. If you need me I’ll be in the garage. This entry was posted in Diet Mountain Drew, family, Fireball, Garage Day, grand children, Mrs. OkieRover, RovErica. Bookmark the permalink.